What would a country home in the Appalachia be without a covered porch and West Virginia deck railing? 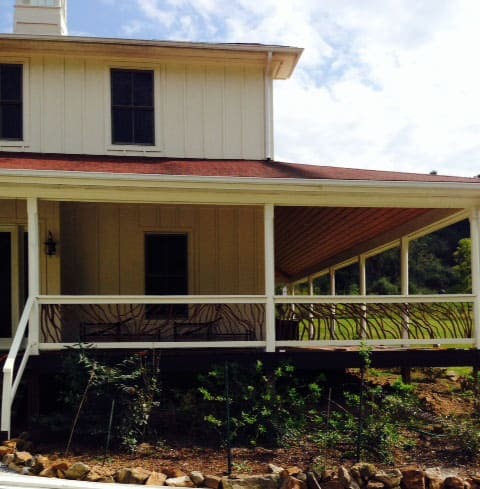 Large sprawling porches are an enduring feature of West Virginia homes. During hot and humid summers before modern conveniences, one would simply step outside to relax under the shade of an overhanging porch in the cool Appalachian breeze. That good old-fashioned tradition is still embraced today. This alluring country-style home with its spacious veranda is a fine example. Mountain Laurel Handrails were shipped to West Virginia for the deck railing. Twig and branch railings also get their roots from craftsmanship in the Appalachians. Early settlers constructed and enhanced their homes with local materials—everything was handmade. They would use limbs and twigs from Rhododendron and Mountain Laurel trees to build functional railings that now can be considered folk art. 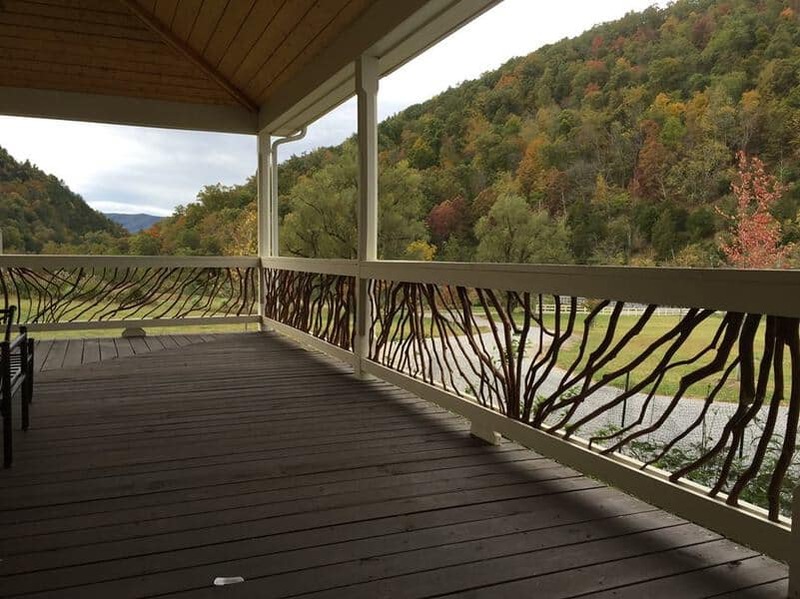 In this West Virginia deck railing, our craftsmen interwove twisting and turning branches between top and bottoms rails to create functional pieces of art. The homeowner left the bark covered branches in their natural reddish brown hue. This creates a striking contrast to the wood rails and posts stained in antique white. The chamfered posts are also a nice detail. These large, covered front porches characteristic of West Virginia homes also fostered community ties. Today, we can’t think of a more welcoming way to greet family, neighbors and visitors than with an inviting West Virginia deck railing. The Mountain Laurel Handrail is the perfect match for this country porch looking out over the serene mountain valley covered in trees. Consider the enduring beauty of twig and branch railings for the porch on your country or mountain-style home.